Home » Uncategorized » What’s Your Attitude To Career Change? What’s Your Attitude To Career Change? 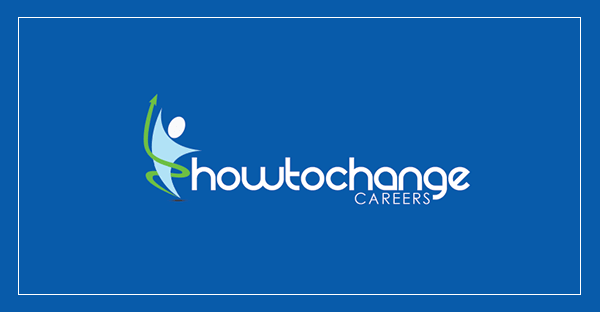 Career change is one of the many changes that we all have to face in life. Change happens all the time whether you like it or not. If you can define and understand your attitude to change and be clear about the potential pitfalls, it will help you tackle changing careers successfully. People generally fall into one of three positions in relation to change and your views about changing careers are no exception to that. You are the kind of person who welcomes change. You thrive on new and different things and go out of your way to bring variety into your life. You probably get bored very quickly and have lots of interests. You may have a fairly chequered work history because you try things and then move on as soon as you feel you have got what you want from a role. The danger for you is that you may be just a bit too impulsive about changing careers and may not think things through enough before you act. If you make a mistake, you probably won’t waste much time on regrets, but a little more forethought might make your next career choice a better one. Catch yourself before you rush into the next career change. Slow down and consider what you have learned from jobs you have done in the past. You might like to use these career review tools to help you reflect. Before you make the next impulsive change, work with a friend who you know will slow you down a bit and help you to weigh up the pros and cons. You could also use the MBTI decision making model to help you make sure you have considered all angles. If this is you, you probably don’t regard career change as something to be afraid of, you simply consider staying put as a safer and more comfortable option. Your approach to life is generally to play safe and stay with the status quo. You are a creature of habit and find structure and routine comforting. This means you will do what you can to avoid disruption to your pattern and so the prospect of changing careers is likely to feel worrying. This may show up in having a low level of motivation when it comes to change. You find that you start things but fail to follow through to completion. You need to check whether this ‘comfort zone’ that you are in really is as comfortable as you think. Are you sure you are not just putting up with a job that you are unhappy with because the prospect of change seems too much like hard work? Check that your comfort zone has not become a straitjacket. Make sure you are not just staying put to keep someone else happy without considering your own needs. Start setting yourself small challenges where you try something different – it might just be eating somewhere different for lunch tomorrow! When considering a career change, don’t feel you have to be dramatic and radical. Small changes may make a lot of difference. Plan a slow and careful route to your new career, just taking a few small steps at a time. You regard all change as potentially dangerous. You approach the idea of any change with extreme caution and probably spend a long time weighing up the pros and cons. The cons usually win out! You tend to dwell on changes you have made in the past where you think the outcome has been failure and assume that the same is inevitable for any future changes. In terms of career change, you focus on what could go wrong, building up a catastrophic picture of yourself failing to manage impossible demands in a new job or facing financial ruin. You generally have a pessimistic view and do not feel secure about making any changes unless you can be 100% certain they will work – which of course is impossible to guarantee. Start to challenge your negative assumptions about the outcomes of change. Look for evidence that change can work out for the good – for yourself and for others. Review your career to date and acknowledge that there have been times when you have taken on new responsibilities successfully. You also need to recognise that even mistakes are opportunities to learn and that you get more from trying and failing than not trying at all. Make a list of all the positive benefits of changing careers to help you motivate yourself into action. Once you define your attitude to change, you can use that self awareness to work on your career change with more focus and determination. You will understand something of the issues that hold you back and so when you see yourself faltering, you can get support from friends to help get you back on track. If you continue to get stuck with your career change planning, take a look at the exercises on Keeping Motivated. Scared Of Going For That New Career?